Just in time for Easter we published a new tour. Enjoy the 7 legs over the Mediterranean Sea and earn the Easter Tour Award 2019. Please check the How-To for more information. 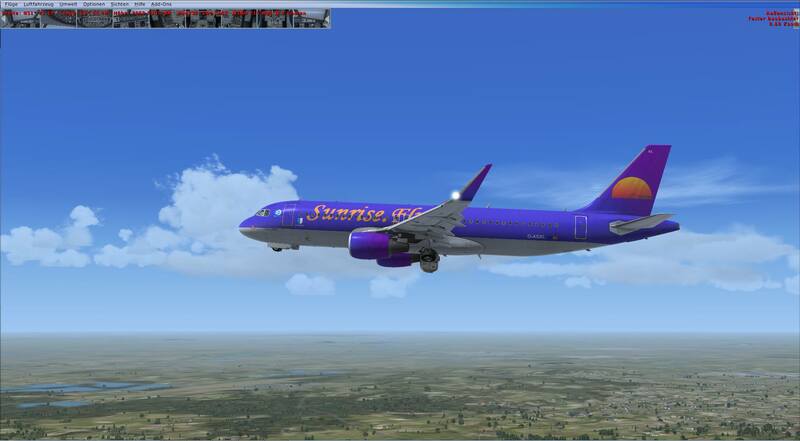 Here some pictures from our nice plane named "Erfurt". Many thanks to our pilots for all the flights, their support and for sure, the fun we had together all the years. Do not forget our group flight, 02.03.2019 20: 00h (19:00 UTC) at FSCloud! Sunrise.Fly is celebrating the 7th birthday. We would like to invite you to a DC-3 group flight on Hawaii. Every other prop aircraft is welcome too. The flight plan will be provided to the participating pilots. The flight will start on Saturday 2.3.19 at 20:00 CET (19:00 UTC). The departure airport is PHNL. The total flight time will be around 2 hours. We are happy to invite you to our first Xmas tour on VAM. We take you to the northern part of Europe. Starting from today enjoy the 12 legs through five countries. Don't wait and book your first flight now. The tour will be open until the end of January. For some additional information about the tour system check our How-To. 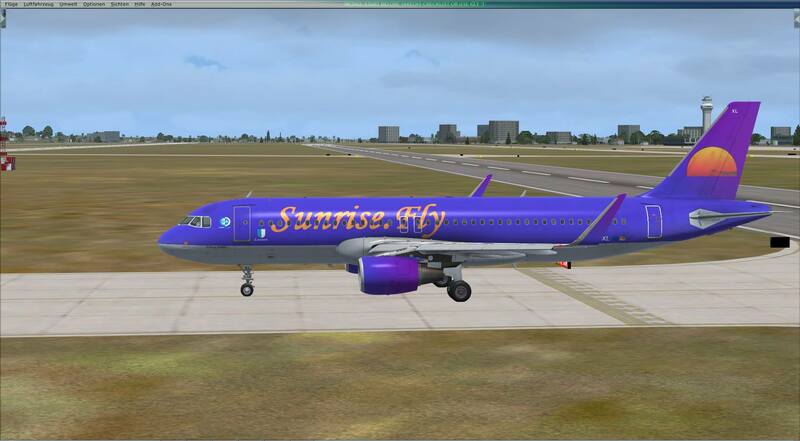 Fly with Sunrise.Fly through christmas time. Thank´s Avi for the 2000. Flight on VAM! We just got a new member in our fleet. 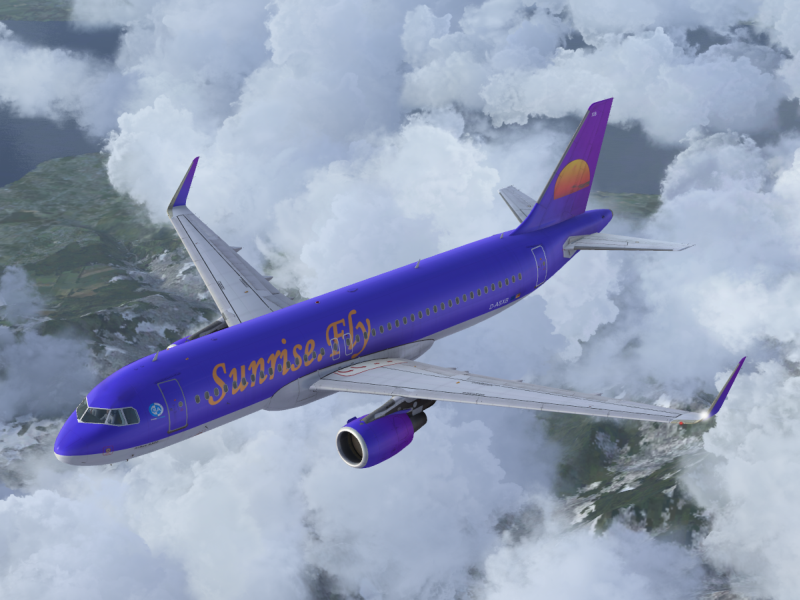 The latest purchase is the A320 Luzern with a special livery. Some impressions of the maiden flight from the Airbus production site in Toulouse to our home base in Düsseldorf. We are happy to present you our first 1000 VA flights. Thanks to all pilots for reaching this target. See you at 2000. We have added over 65 Routes to new Holiday destinations and other exist destinations. Also a new destination is EKBI - Billund at Denmark. New routes from/to EDDF, EDDL, EDDM, EHAM, LFPG, LFPO, LGAV, LLBG, LSZH, LTBA, OMDB, UKBB, UUEE, and some more. We just upgraded our version of VAM to 2.6.2. It comes in a new look and some new features. 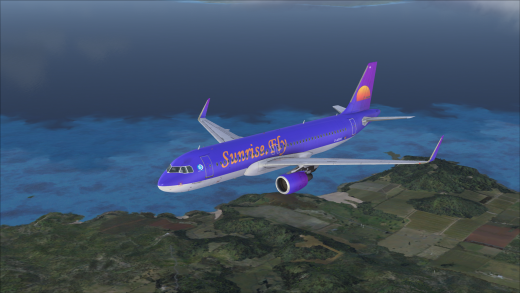 Soon we also await SIM ACARS 1.5. Stay tuned for updates. We have changed our Pilot Ranking to optimizing the Ranking system. 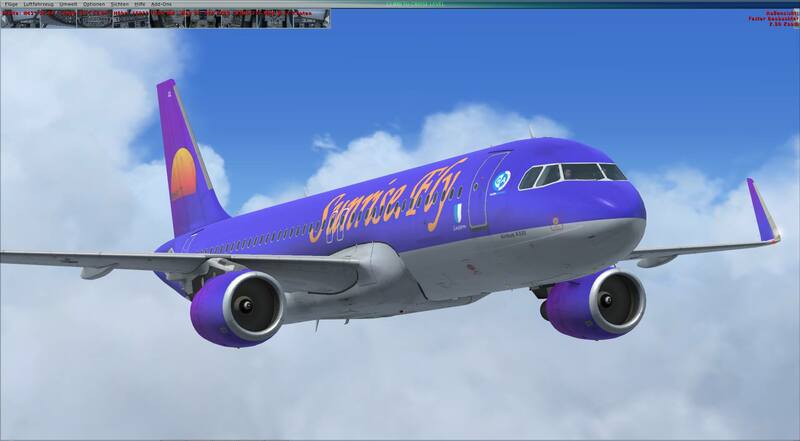 We find a way to integrate all our Routes from the former FSCloud VA-App to our new Virtual Airline home VAM. On this way we are able to use 1.404 Routes now! Also are the durations for the flights and Pax / Cargo prices better calculated. A big thanks to all who followed us to VAM. We have a Tutorial for VAM and SimACARS available now. The Tutorial show the easy steps to install and use of VAM and SimACARS. Hope we see us in the air! After FSCloud VA-App switched off, we test a new VA Tool. The name of this nice tool is VAM. 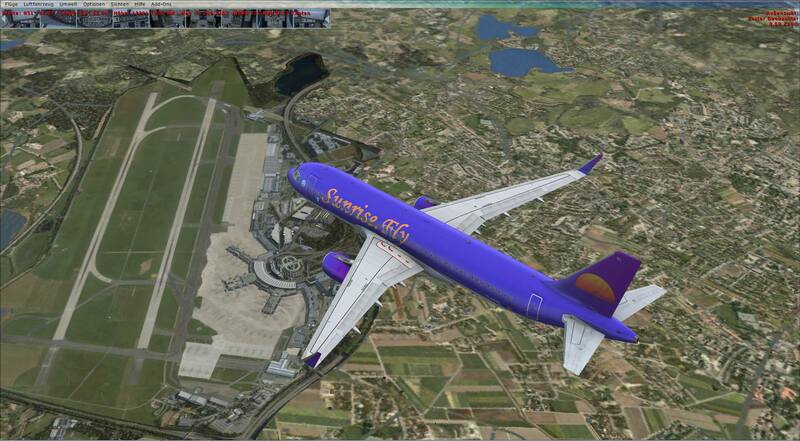 The Virtual Airline Manager work with the simple SimACARS! 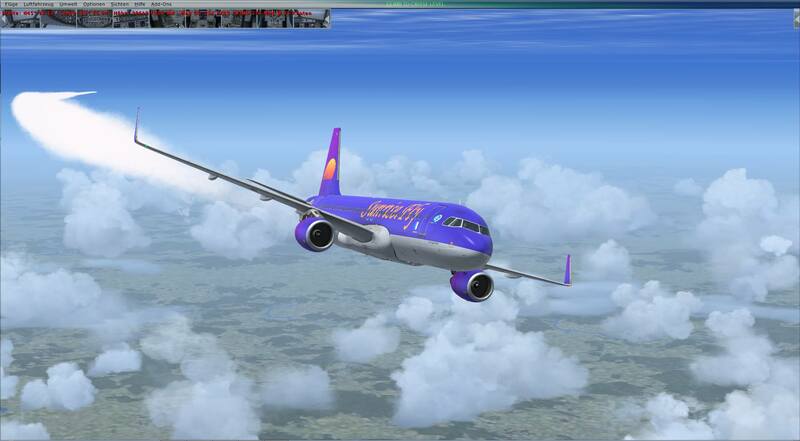 If you have interest to fly with us, come to Virtual Airline Manager and test the beautiful VA Tool! ReneFFM switched off this system!! We are working on an alternative. Please give us time to solve this problem. More Informations about on FSCloud Forum and here at our site. We have added new routes to 2. new Destinations. The new Airbus is ready for fly! You can Download the new Livery now! 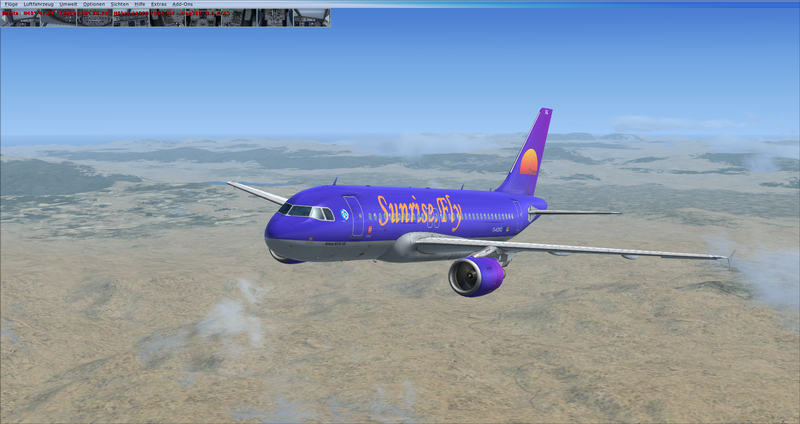 Note: This Livery is only for the Aerosoft Airbus A320! A new Airbus A320 CFM NEO is ordered and coming soon! 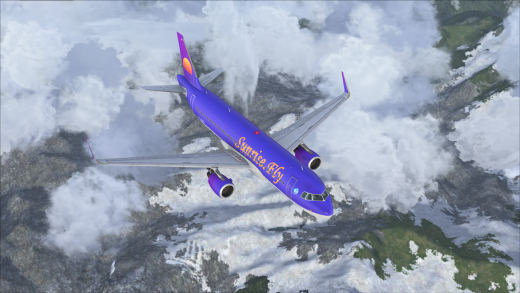 737-800 in XMAS style available now!!! The 25th anniversary of German reunification is a reason for us to present new Routes. Berlin -Schonefeld (EDDB) was the major Airport of the German Democratic Republic. In West - Berlin, this part of Berlin was Federal Repuplic of Germany, was Tegel (EDDT) as Airport. The third Airport at Berlin was Tempelhof (EDDI). Berlin - Tempelhof is closed in 2008. More informations about the aviation history of Berlin, Click here! Our website reached 20.000 views! Thanks for following our site and VA.
Service work on the PM system! Edit: PM system is updated and works! Today reached our website 15.000 visits. Thanks to all for following and our great Team. Note: TeamSpeak IP and Domainname have changed!!! Our Website reached over 10.000 views! Thanks for following this site. 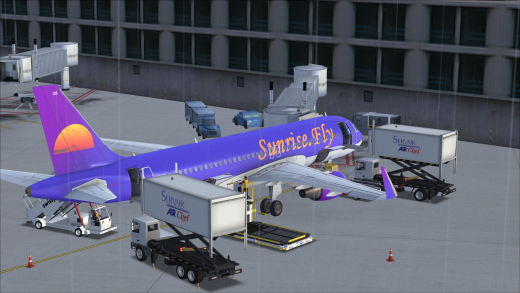 The Sunrise.Fly PMDG 777-200F is ready to fly. Much thanks to wizzardos for this Lady. Our Website reached over 9.000 views! The Sunrise.Fly - Cloud Alliance - 777-300ER is, since a few days, ready to fly. The Sunrise.Fly - Cloud Alliance - 777-200LR is ready to fly. A big thanks to wizzardos for the design and the realization of this T7. 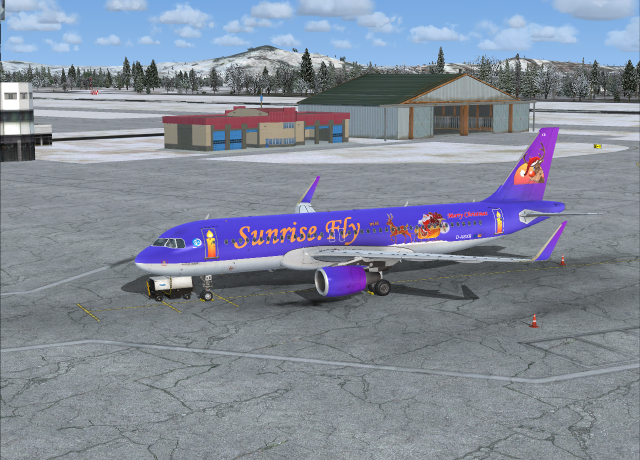 737-700 in XMAS style available now!!! 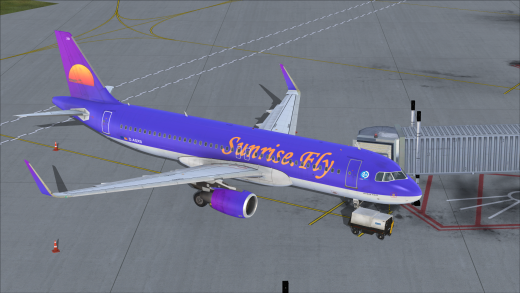 Sunrise.Fly added 6 new routes in the United States. Our Website reached over 8.000 views! 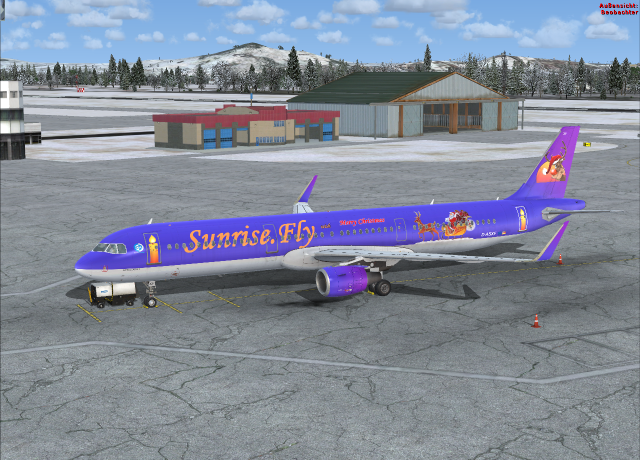 737-600 in XMAS style available now!!! 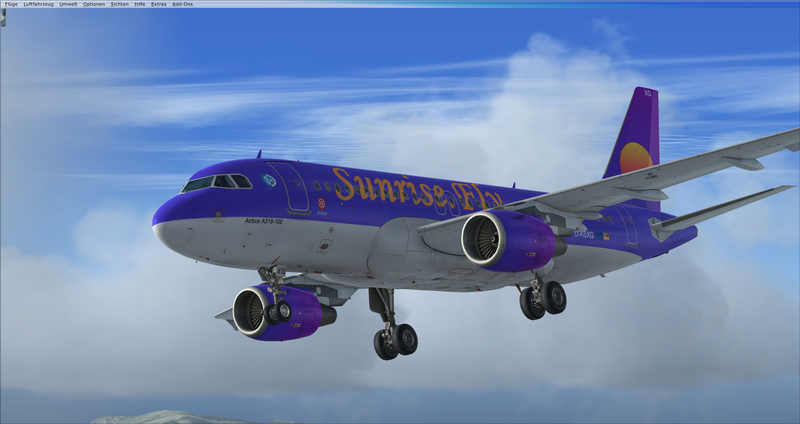 A Updated version of the Airplane & Livery Installer is available! Sunrise.Fly have a new manager! Welcome Timothee in our great Team! The PMDG 777-300ER by wizzardos is ready to use for our fleet. We wish you many fun with our new Lady. NEW UPDATE for our new Map feature!!! You can show our routes in your browser now, with the Google Earth Plugin show here !!! Thanks for following this site and our Airline. Our newest plane is the PMDG 777-200LR by wizzardos. We are really happy about our new Lady. Thank you so much wizzardos. We have again a new feature for our Airline!!! Our Website reached 5.000 views. It's amazing, in fact, that this website isn't listed on google or has an easy address. A new feature is ready to use now. All registered Users can send PM's to other Users. Our Pilot nonamed286 get a 50 intimes Award. Our Pilot Flynut get a 200 intimes Award. and our Pilot Herlev get a 400 intimes Award. Our Pilot Correbor get a 1200 intimes Award. Our Pilot fuzzy101010 get a 200 intimes Award. 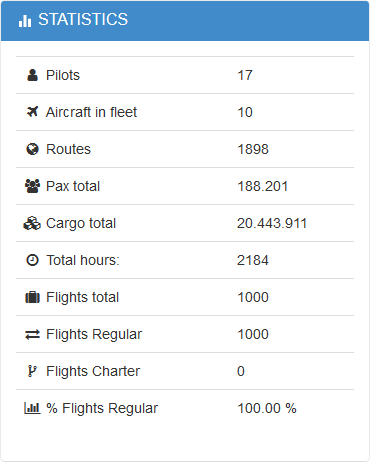 Our Pilot wuanche get a 1000 intimes Award. Our Pilot voltron69er get a 400 intimes Award. 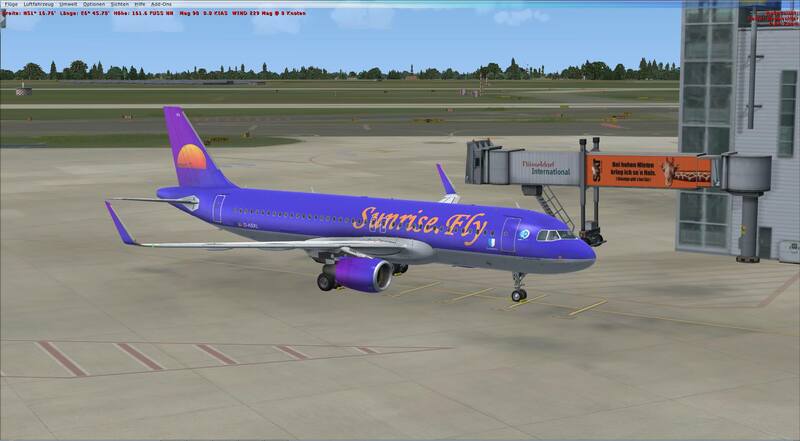 Yesterday reached Sunrise.Fly 1.300 Destinations on HHG Server. Our Pilot Correbor get a 1100 intimes Award. We want to invite you all for our group flight wich should start at 9 pm (German time). 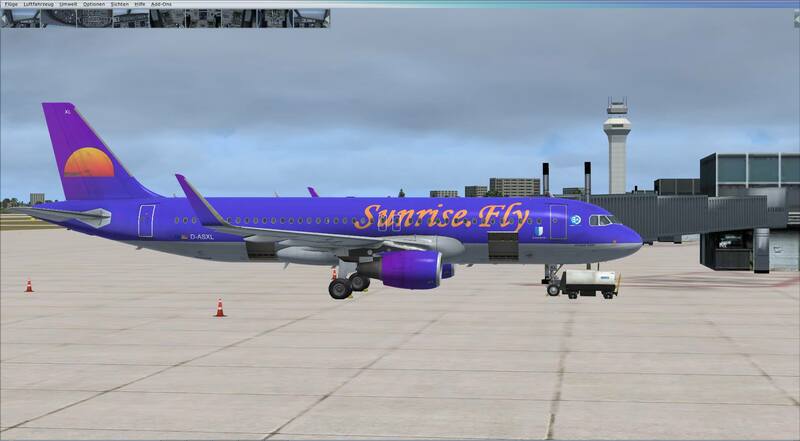 We start at EDDL and we will fly to EDDV (our old Homebase with TUIfly). After that we will return to EDDL for the real party. Our Pilot ArikUSA get a 900 intimes Award. Our Pilot NY188 get a 200 intimes Award. Our Pilot Saugadude420 get a 100 intimes Award. Sunrise.Fly invest again in Airports and show on this way the loyality to the HHG Community. join us in the cloud!!! We started with some routes to test the new VL-System at the cloud. Of course we can create more destinations for you. Do not hesitate to contact us. Be informed that this is just a test. The cloud is in beta status. Our Pilot bornaco get a 100 intimes Award. Was a great job, to pass all exams from Ultralight to the Jetliner license. EDDL (Duesseldorf) to YSSY (Sydney), 8.949 miles, 21.5 hours. Congratulation to this very long VL-flight without connection lost or BOT Problems. Have FUN with one of the biggest Destinationslists on HHG. Our Pilot NY188 get a 100 intimes Award. Why is this airport a special one? Our Pilot derekw1 get a 300 intimes Award. and our Pilot fuzzy101010 get a 100 intimes Award. Our Pilot d95 get a 100 intimes Award. 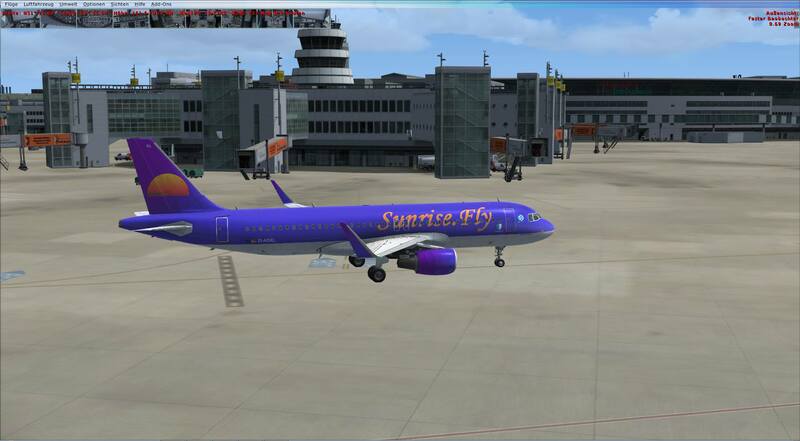 Since today is Skiathos Airport ‘Alexandros Papadiamantis’ in the Destinationlist of Sunrise.Fly. It's calling the Second St. Maarten. Important to know: There is no BOT-ATC in case of the short RWY and there is no ILS available! Our Pilot Correbor earned the first 1.000 intimes Award! Our Pilot NY188 get a 50 intimes Award. Our Pilot frsky2012 get a 50 intimes Award. Time for us to have the 1.200 Airport Anniversary today. The Sunrise.Fly website is since today online. With the Newsticker we will present all news and informations. On Newsticker are then 5 actual links and in News are all listed.